Alright, today I'm gonna to recommend a very nice and delightful western food restaurant and the restaurant name Moon Kitchen located in Putra Height. 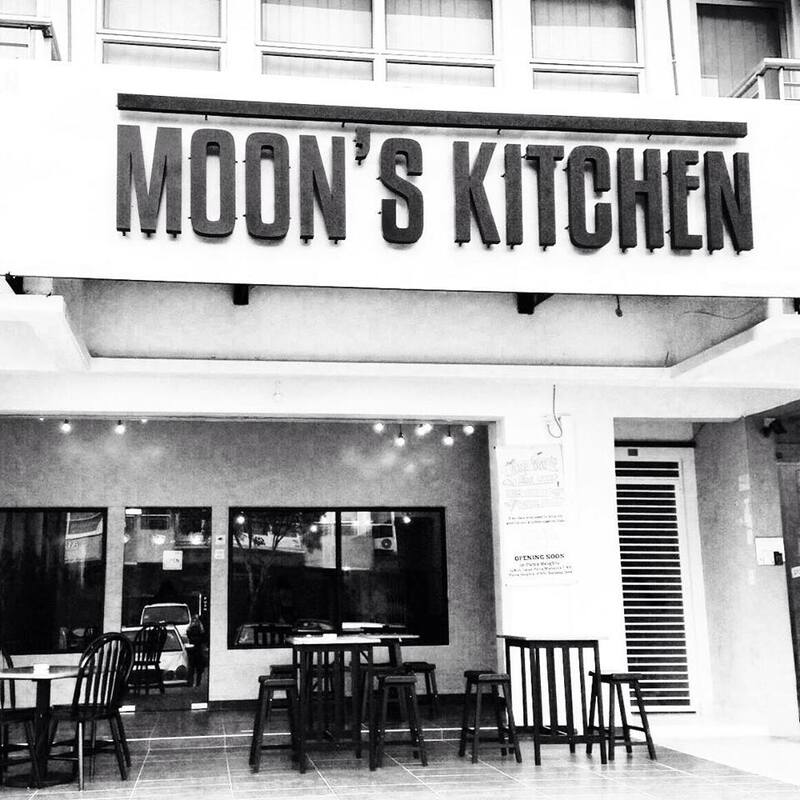 Eventually, Moon Kitchen is own by my cousin and her family. Moon's Kitchen are hosted by a young and friendly couple Aizuddin & Athiqah. Aizuddin is one of the 3 chef for the restaurant and Athiqah manage the front counter. 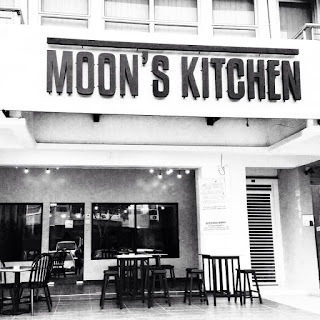 Moon's Kitchen first started by Aizuddin's cousin, nicknamed 'Moon' 18 years ago. In 2014, Aizuddin & Athiqah's family started the business on this lovely shop at Putra Height. Here is restaurant menu. There offer variety choices of food etc steak, lamb, chicken, fish, burger, spaghetti and many more. If you can't decide what to order, you can ask the friendly waiter to recommend. They have signature dishes which can recommend to all of you. Below are some of the food that i have tried. Sizzling in hot pan serve with veges, corn, chips with spicy juicy black pepper sauce. YUMMY!!!! girdled steak with shiitake sauce serve with veges, chips and mayonnaise for dipping. Juicy patty on your first bite. It was a nice dining at my cousin's restaurant Moon Kitchen, juicy & tender steaks, big portion of food and and it was really affordable.